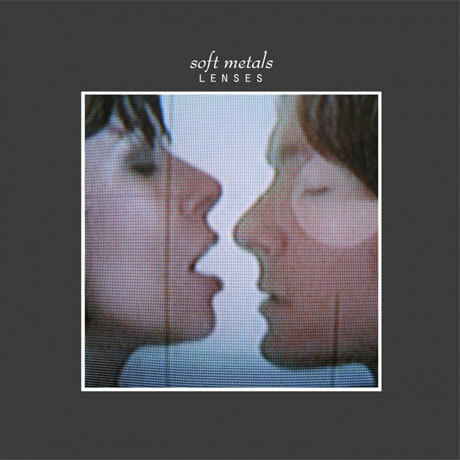 When L.A.-based synth duo Soft Metals delivered their self-titled debut LP for Captured Tracks in 2011, Exclaim! gave the record a thumbs up for its "sparse yet commanding" arrangements. Two years later, the band have revealed the sophomore follow-up, Lenses, which their label drops into retailers July 16. Not much has been revealed behind the genesis of the duo's upcoming eight-song set, but Captured Tracks note that members Patricia Hall and Ian Hicks' latest song cycle is influenced by the work of synth pioneers Chris Carter and Klaus Schulze. Furthermore, Lenses is apparently geared for the dancefloor. According to XLR8R, the LP also features guest work from Pharaohs' Diego Herrera and Keith McIvor of Optimo. You can sample a whirlwind of oscillated key tones, four-on-the-floor rhythms and Hall's tranquil coo on heady, house-flirting first single "Tell Me" in the player down below and check out the VHS-still album art up above.